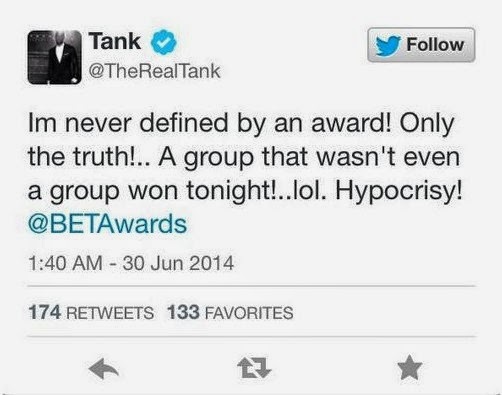 Tank feels some type of way that TGT walked away empty-handed after the 2014 BET Awards on Sunday, but he swears he’s not jealous about the loss! It was baffling when Young Money took home the BET Award for Best Group. TGT was up against A$AP Mob, Daft Punk, Macklemore & Ryan Lewis, and Young Money for the prize. 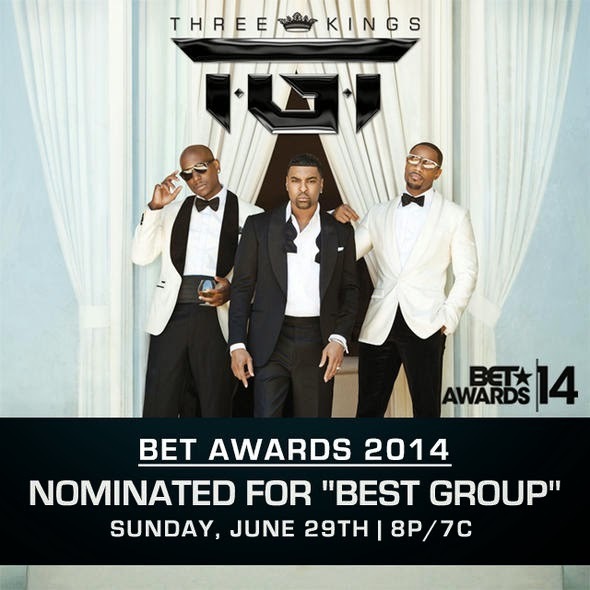 Anyone tuned in for the ceremony would have assumed that TGT would take home the win! 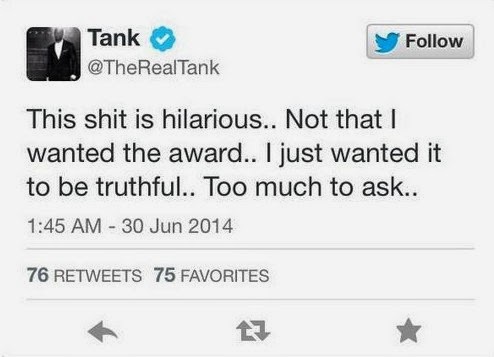 When the award went to Young Money, Tank was among many disappointed viewers. Most artists can graciously accept a loss. He, however, was not one of them. 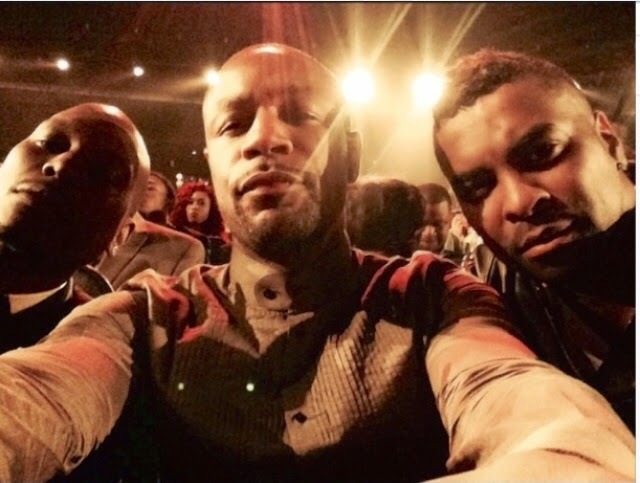 Tank was very vocal that he, Ginuwine and Tyrese had been passed over! Furthermore he couldn't believe some of the things that Young Money said while accepting the award. 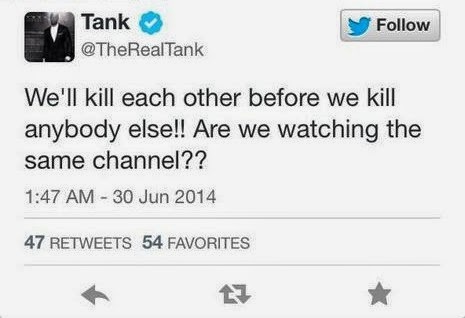 The group was obviously hyped about the win, but Tank had to point out some questionable statements in their speech. Before anyone could accuse him of being a sore loser, Tank insisted that neither the award nor the nomination meant that much to him. This is an awful lot of passion for someone that doesn’t care about the award. Just saying.